Home » Election 2018 » More Are Casting Absentee Ballots. Is It Too Late For Me? It’s Election Day and while some people are searching for the nearest polling station, many are belatedly scrambling to figure out how absentee ballots work. Absentee ballots are used by those who cannot go to the polls on Election Day and need their ballot mailed to them. If you haven’t requested one yet, it’s too late now. 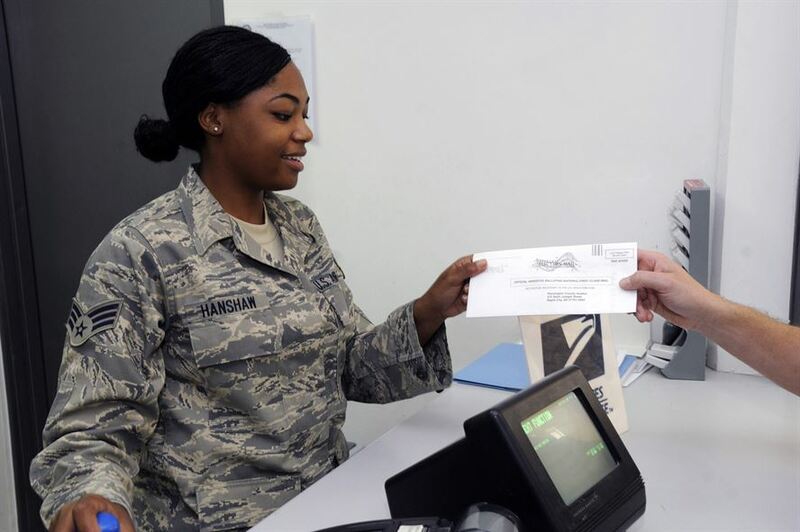 Voters who use absentee ballots include deployed military personnel, out-of-state students and bedridden individuals, among others. Some states, including New York, require applicants to provide a valid excuse for absentee voting. The number of people using nontraditional means of voting, such as absentee ballots, vote-by-mail and early voting, has increased over the years. According to the U.S. Election Assistance Commission, the percentage of voters who used absentee ballots increased from 12.1 percent in 2004 to 22.8 percent in 2014. In 2016, 24.8 million voters used absentee ballots in the presidential election. The process of requesting an absentee ballot differs depending on your predicament and home state. Voters out of the country must fill out the Federal Post Card Application (FPCA), which requires a valid driver’s license or state ID number, Social Security number and the address for your most recent residency in the United States. For those in the United States who need an absentee ballot, each state has a different application. Tennessee, Michigan and other states do not allow first-time voters to use an absentee ballot. Certain counties allow you to apply for an absentee ballot online; others require absentee voters to request their ballot by mail or in person. Arkansas’s application even requires a photocopy of one’s state ID. Application deadlines are especially bothersome for first-time voters. On college campuses, where students are coming from all over the country, students can unintentionally mislead friends concerning application deadlines. For instance, people from Georgia can apply for their absentee ballot up to seven days before Election Day, but people from Rhode Island must apply at least 21 days prior to Election Day. Generally, states will take the actual ballot if it is received by Election Day. Maryland takes any ballot postmarked by Election Day and received up to 10 days later. However, Mississippi does not count absentee ballots after the eve of Election Day. Knowledge is frequently the deciding factor in whether someone can cast an absentee vote. To find information concerning the absentee ballot rules for each state, go to https://www.vote.org/absentee-voting-rules/ at least a month before the next Election Day to avoid missing the deadline.